When I'm not immersed in music, I am baking bread for my home-based business Harvest Rise Bread Company. My bread is exclusively available at select Howard County farmers markets from May through November. I bake everything from artisan bread like Ciabatta and oatmeal sandwich bread, to braided Brioche and specialty items like hamburger rolls and naturally-leavened sourdough (pictured). Our family has used Young Living Essential Oils for many years. We have fallen in love with how easily we can support our health and wellness with these miracle plants-in-a-bottle. We have strived to rid our home and bodies of toxins, and Young Living has helped us do that in more ways than we could possibly imagine. What an incredible journey it's been! I love sports. My true love is baseball, and I'm a rabid Washington Nationals fan. My family and I have a season ticket plan to the Nats, and when we're not at the ballpark we're listening to the games on the radio or watching on TV. We rarely miss a game. In addition to baseball, I love hockey (the 2018 Stanley Cup Champion Washington Capitals!!! ), college and pro football, and college basketball. I host an NCAA tournament pool with my studio every year. I was born and raised in Ann Arbor, MI, and my allegiance to the Michigan Wolverines runs deep, as does my distain for anything scarlet and gray. My parents are both U of M alumni, so clearly, they raised me right. Go Blue. I love being on or near the water. Whether it's canoeing, paddle boarding, or sitting on the sand of the Outer Banks watching my kids play in the surf, I simply love it. Perhaps being born in the Great Lakes region has something to do with my affinity for water. ​My favorite band is the Dave Matthews Band. I've attended more than 30 concerts and have collected hundreds of live shows, spanning DMB's 25-year career. While I was a student at Oberlin, I taught four semesters of a class called DAVE MATTHEWS BAND: MUSIC AND HISTORY. You can read more about the class HERE. 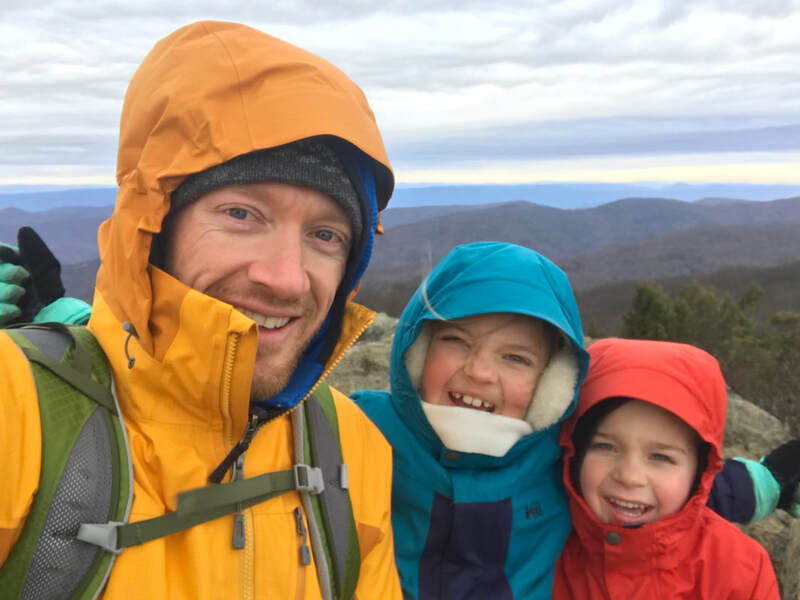 ​I enjoy hiking and spending time outdoors, and I especially love sharing those experiences with my kids. 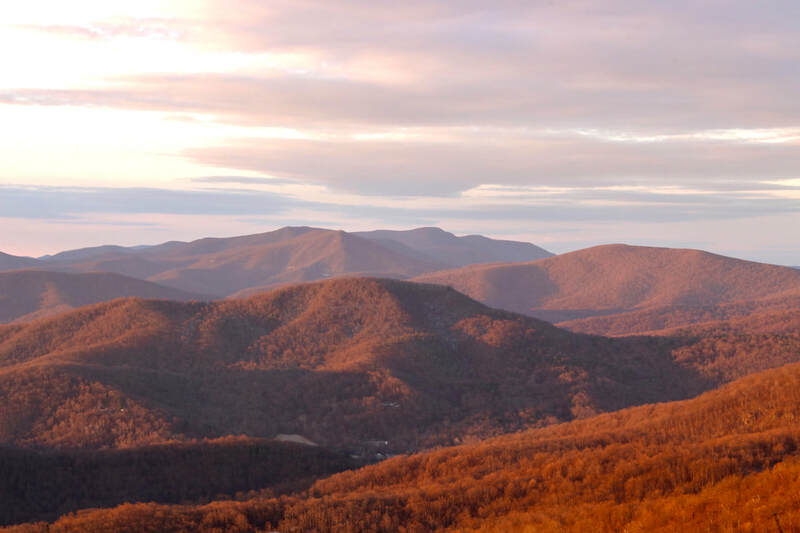 We've enjoyed post-Thanksgiving family hikes to Sugarloaf Mountain and spontaneous trips out to Shenandoah National Park in Virginia. 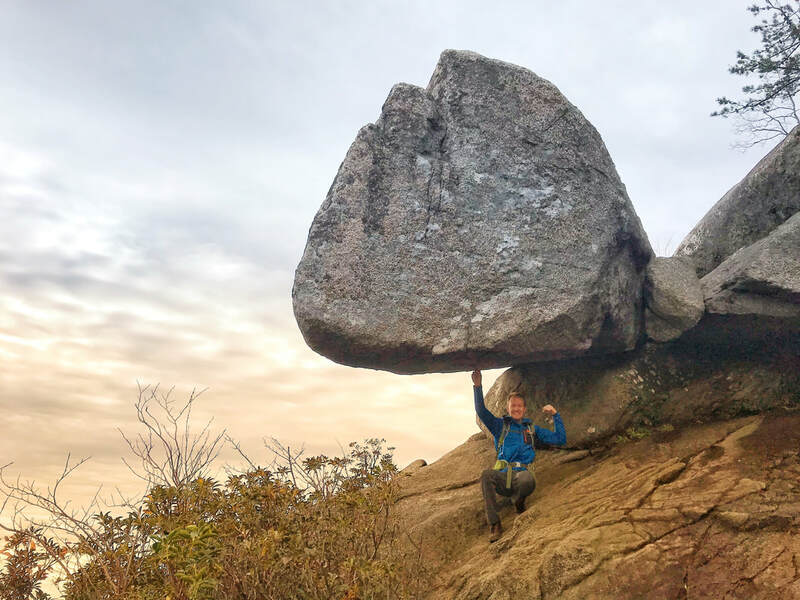 If I'm itching to hit the trails for a quick day hike, my go-to is a 2.5 mile stretch of the Appalachian Trail to an overlook called Annapolis Rocks (left). I've enjoyed hikes in the Catoctin Mountains, Patapsco State Park, Mt. Monadnock in NH, and along the Franconia Ridge to Mt. Lincoln and Mt. 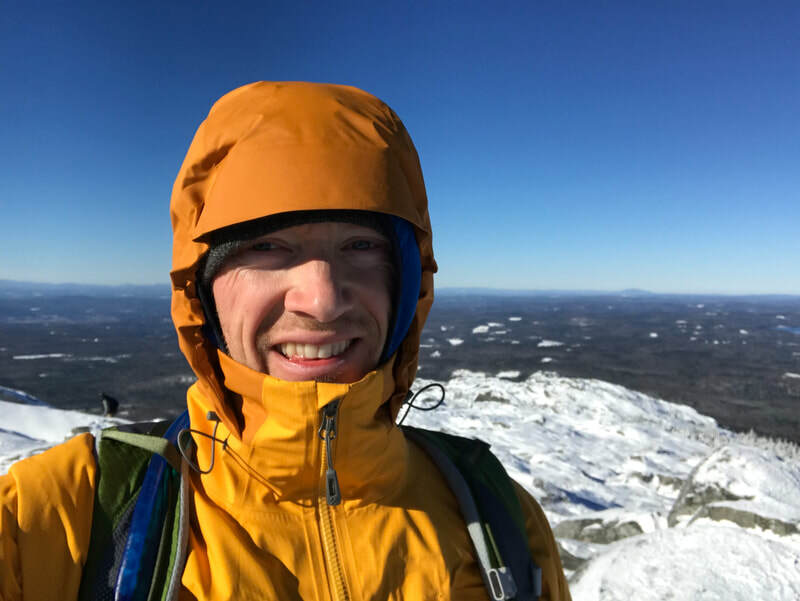 Lafayette in the White Mountains. 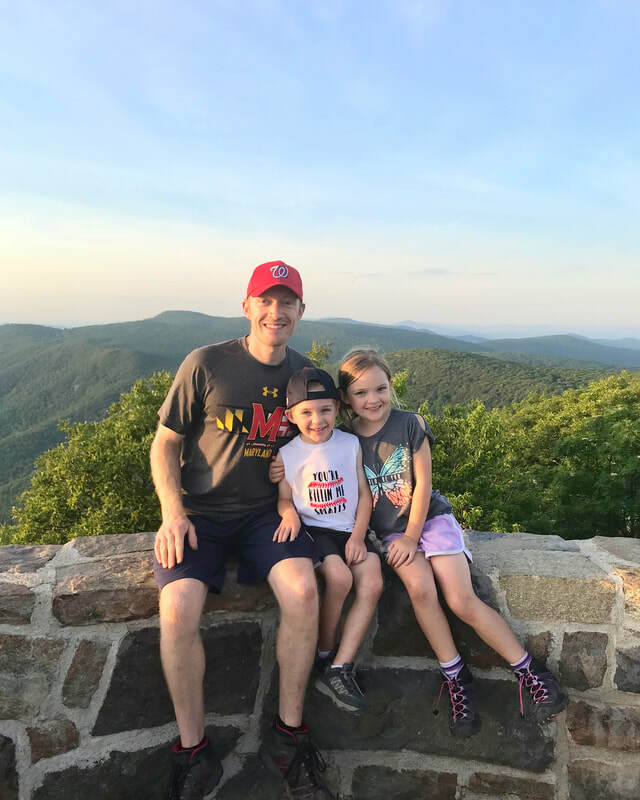 My favorite place to hike is Shenandoah, and whether I'm enjoying a sunset with my kids, meandering along Skyline Drive or hiking deep in the valleys, the beauty of that park is indescribable. 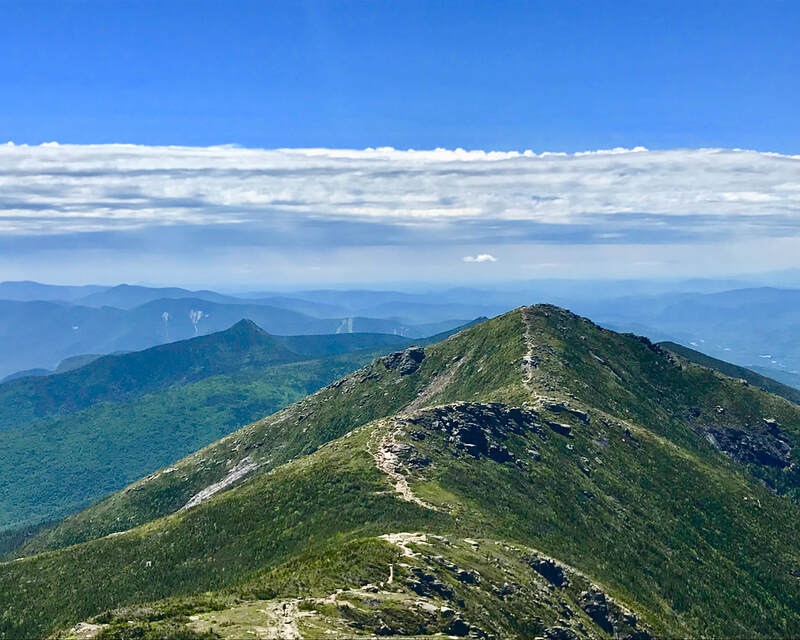 Join me for a hike sometime!